We’ve become a short-term focused species constantly on the go with instant communications and global market trading all happening with the stroke of a key pad or call on a cellphone. 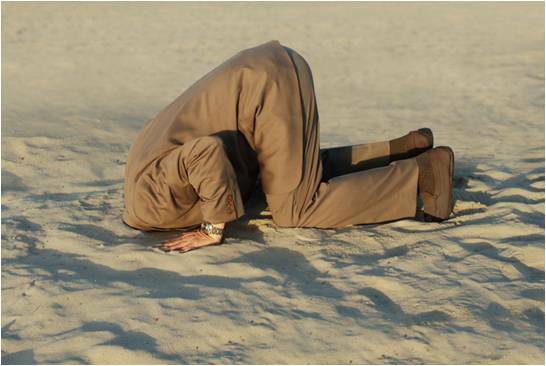 The disconnect between long-term thinking and short-term thinking to me sums up our political discourse in the United States, especially as it relates to natural resources…take it now or think about future generations. Native Americans had it right: “In every deliberation, we must consider the impact on the seventh generation… even if it requires having skin as thick as the bark of a pine.” ― —Great Law of the Iroquois. We see this playing out in Bristol Bay, Alaska. Whether to reap 50+ years of benefits with a gold/copper mine situated at the headwaters of the worlds largest wild sockeye salmon fishery OR protect a time-honored fishery that has sustained countless generations of native people and now also sustains a commercial and sport fishery worth millions. It’s all about freshwater…let’s take a lesson from Native Americans and seriously think about the seventh generation. If this moves you consider supporting www.savebristolbay.org and tell them I sent you…and when you buy salmon make sure its wild salmon from Alaska–vote your preference with your pocketbook. We all know this…They just don’t mix. Whether we’re talking about people, “they’re like oil and water”, or we’re talking about salt or freshwater and oil…they just don’t mix. Like you I have sat and watched helplessly as the BP oil disaster in the Gulf of Mexico has spewed forth the manifestation of our addiction to oil. It’s frightening to watch and to see it affect us in such a foul, toxic, and heartbreaking fashion. It’s taken me this long to write about it as I wanted to view this from a larger perspective and not one that has me embroiled in the anger, frustration and sadness that is unfolding before us. I have felt so helpless. We’ve done this to ourselves and I am less interested in blame and liability, for now, than in just getting the problem solved. Getting the cap on recently was a major step forward BUT the cleanup of the hundreds of millions of gallons is something that will be multi-generational. 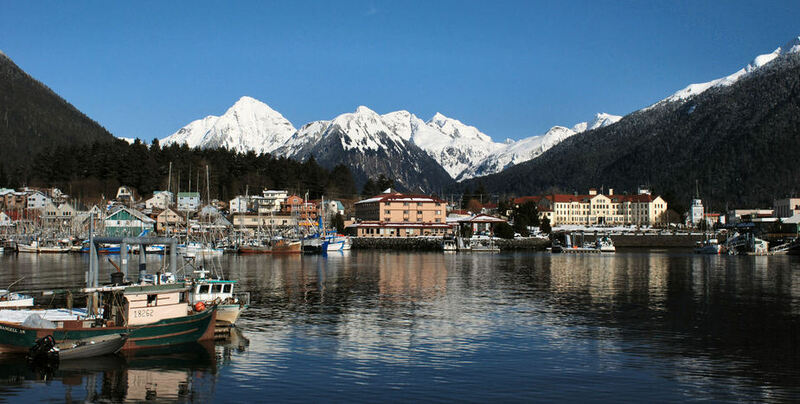 Exxon Valdez has taught us that and the Exxon Valdez spill in Prince William Sound of beloved Alaska is a pinprick compared to the Gulf of Mexico. Recently I was asked by a company I work for to do an analysis on the oil spill and field data needs. It was a good opportunity to highlight the difference between an anthropocentric vs. biocentric perspective. An anthropocentric [human centered] perspective would be focused on beaches where we humans encounter the oil and on the charismatic megafauna [beautiful animals/birds/fish] that we as humans feel our heartstrings pulled on . A biocentric [ecosystem centered] perspective would be focused on what is best for nature including the marine life ecosystems, the marshes and bayous, and the systems that are key to the chain of life in the Gulf. We need to work on all these things but the marshes and bayous and tidewaters are the “nurseries” of the marine and freshwater ecosystems that are the foundation of the whole Gulf ecosystem. As much as we humans can we need to really think about these challenges from a biocentric viewpoint because we humans are part a larger ecosystem that extends and effects us well beyond our current knowledge. Oil intruding into freshwater systems complicates and threatens the health of fish, fowl, wildlife and humans….we are ALL at risk of this. So this disaster in the Gulf and its impact on our economy, our health, and our environment must fortunately be an isolated challenge to us all to recover from. Unfortunately it is not. Huh? Not another gloom and doom environmentalist trying to scare everyone that the End of Days is nigh! 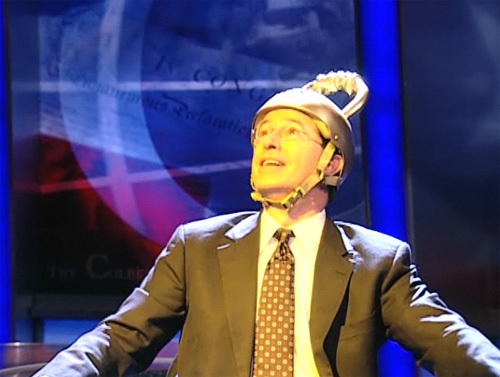 Quick, don your Rapture helmets and hope God didn’t catch you that one time…. It’s not a doom and gloom scenario. It is an honest, straight forward, and pragmatic look at the worlds’ freshwater issues that the BP oil disaster has highlighted because this isn’t the only oil and water related major problem in the world. What should bother us about these other issues is that they happen far away and usually to people that are poor…and we here in the relative affluence of the West remain blissfully ignorant of them. 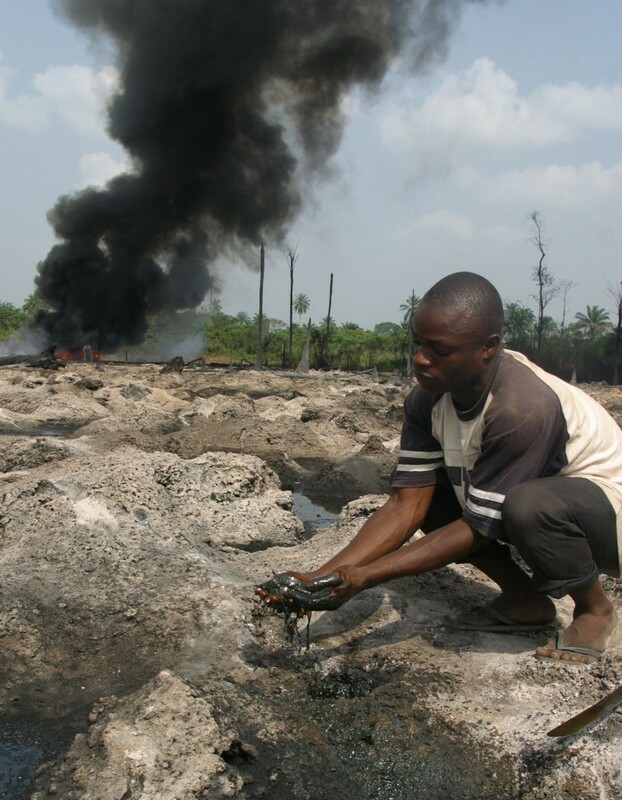 In the delta of Nigeria for the last 50 years between 380 to 550 MILLION gallons of oil spill EACH YEAR. 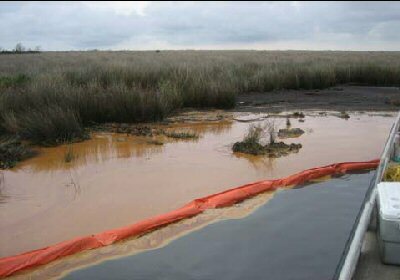 These spills are a result of their incessant civil war where no one seems to be “the good guy” pipelines are sabotaged and inattention to maintenance of the oil pipelines allows corrosion to eat through the pipes and spill oil. This is the equivalent of an Exxon Valdez disaster every year for 50 years. The people of the Delta are being poisoned by the oil that is part of their daily drinking water, bathing and hygiene. It’s in their food. It’s all around them and yet the forces of greed battle on to control the black gold while everyone suffers. The oil contaminates the surrounding ocean where it is scattered to the courses of currents and whims of nature’s storms. We are all effected by this. 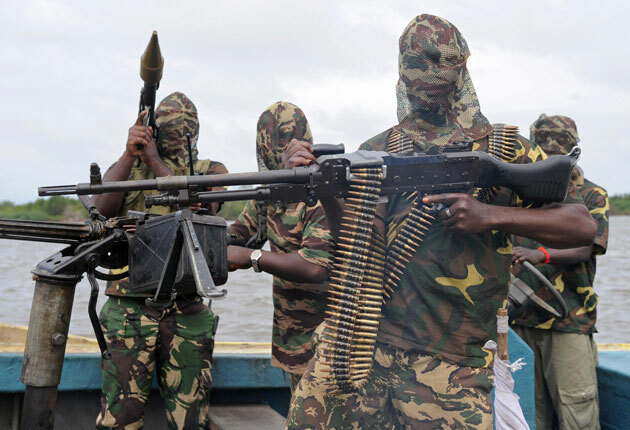 Shell and Chevron are the two major multinationals extracting the oil and navigating, and some say unduly influencing and meddling in, the politics. There is much to read on this subject and I encourage you to dive in. Chevron is accused of turning approximately 2,000 square miles-about the size or Rhode Island-into a “death zone” where cancer rates have soared. 17 million gallons of raw crude oil has been discharged into the rainforest. Lax health laws and poor, if any enforcement, of health regulations has allowed the indigenous people to take the brunt of pollution. In remote regions of Siberian , away from prying eyes, oil drilling still suffers from undercapitalized projects that allow pipelines to corrode away and cause massive oil spills of over 30 million gallons. 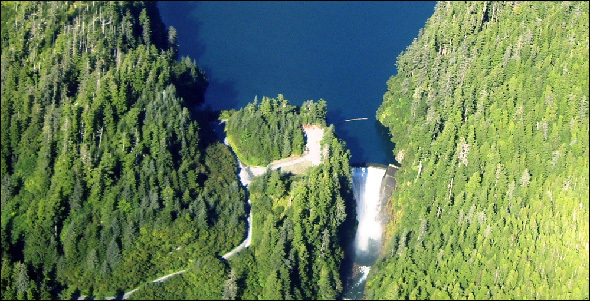 As Circle of Blue reported, “The international community paid scant attention to the region’s ongoing spills until heavy rainfall in October of 1994 knocked out an earthen dam that had contained 20 percent of the region’s motherlode of contaminated water and crude. Oil raced through tributaries of the salmon-rich Pechora River, which drains into the Arctic Ocean. Oil contaminating migrating salmon fisheries, as well as effecting the waters of the Arctic Ocean, effect all of us. It is critical to be an informed global citizen who has a deeper understanding of these issues and the interconnectedness of these issues to our own lives and how we affect them. It is critical to our mutual survival. 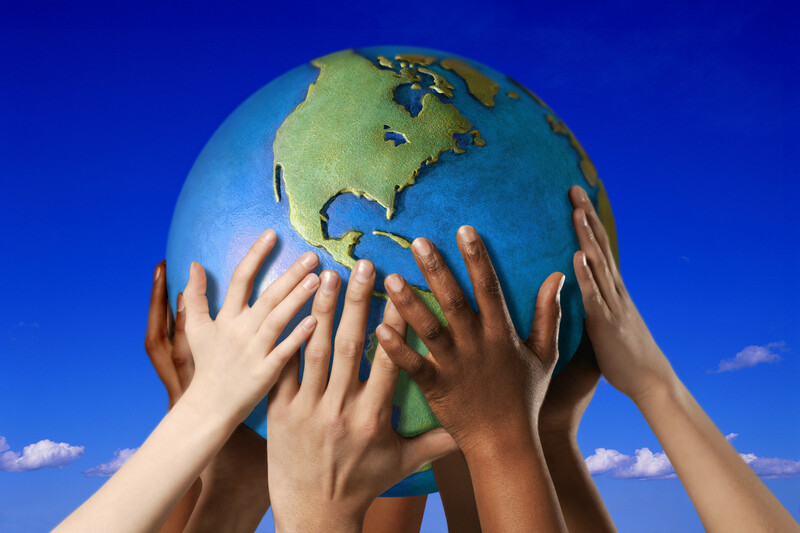 The world is growing more populated and the environmental stresses are growing and will continue to grow. It is up to each one of us to contribute to solving these issues in small ways that collectively become a powerful force as they translate into pressures on the “markets” of the world. This is an issue of international and national security. We need to migrate to sustainable energy as quickly as we can, recognizing the imperative to do so, and in an orderly transition. Oil will continue to play a mix in our energy needs but the more of us that realize that oil is both a blessing and a curse and that renewables are better for us in the long run is critical to the collective political will that translates into, at least in our representative democracy, the election of public leaders who heed the electorates demand. Oil is poison to freshwater and we don’t have a lot of freshwater on this planet. What we have we need to steward and care for. 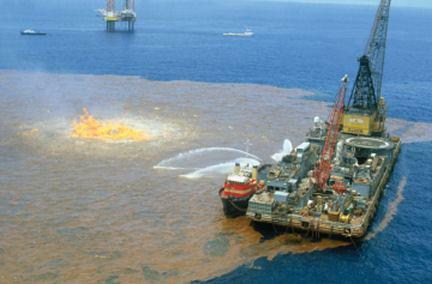 I wish the BP Gulf of Mexico disaster was an isolated incident but the more you open your eyes to what is happening around the globe the more the pattern comes into focus. Don’t take the easy route and fall prey to the those that offer soothing salves of “it’s not a big deal” or “the waters will be pristine again”. Lastly, the more we spend time blaming others the less energy we spend on fixing the problems and moving forward with constructive solutions. We are all to blame in some form or fashion and clearly some shoulder more culpability than others but let’s learn from our mistakes, right the wrongs, but keep our focus back to where it needs to be… that is the evolution of man in its finest form and this can be our finest hour. Yesterday the Secretary-General of the United Nations Ban Ki-moon visited the Aral Sea and called it a “shocking disaster”. Here is the article from the Associated Press. Bolded statements are my emphasis. NUKUS, Uzbekistan – The drying up of the Aral Sea is one of the planet’s most shocking environmental disasters, U.N. Secretary-General Ban Ki-moon said Sunday as he urged Central Asian leaders to step up efforts to solve the problem. Ban toured the sea by helicopter as part of a visit to the five countries of former Soviet Central Asia. His trip included a touchdown in Muynak, Uzbekistan, a town once on the shore where a pier stretches eerily over gray desert and camels stand near the hulks of stranded ships. “On the pier, I wasn’t seeing anything, I could see only a graveyard of ships,” Ban told reporters after arriving in Nukus, the nearest sizable city and capital of the autonomous Karakalpak region. 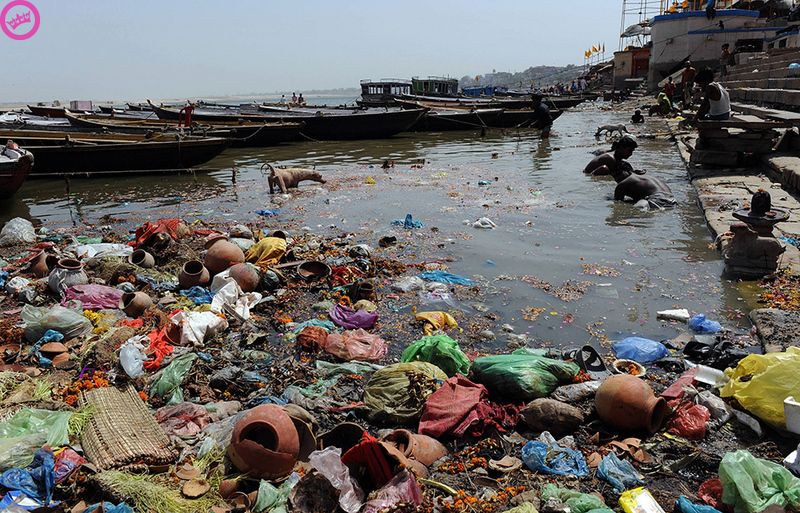 “It is clearly one of the worst disasters, environmental disasters of the world. I was so shocked,” he said. The Aral Sea catastrophe is one of Ban’s top concerns on his six-day trip through the region and he is calling on the countries’ leaders to set aside rivalries to cooperate on repairing some of the damage. “I urge all the leaders … to sit down together and try to find the solutions,” he said, promising United Nations support. However, cooperation is hampered by disagreements over who has rights to scarce water and how it should be used. 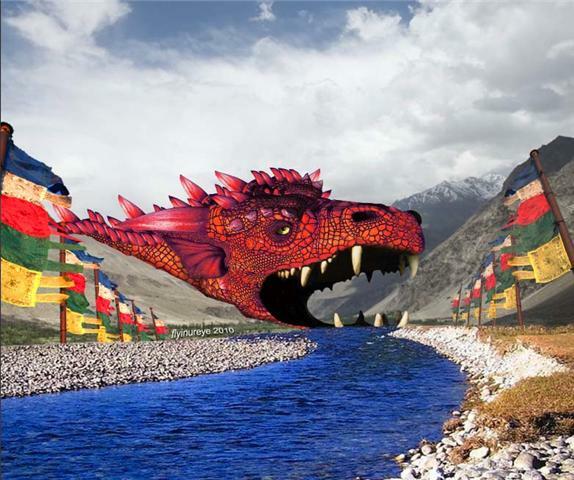 In a presentation to Ban before his flyover, Uzbek officials complained that dam projects in Tajikistan will severely reduce the amount of water flowing into Uzbekistan. Impoverished Tajikistan sees the hydroelectric projects as potential key revenue earners. Competition for water could become increasingly heated as global warming and rising populations further reduce the amount of water available per capita. Water problems also could brew further dissatisfaction among civilians already troubled by poverty and repressive governments; some observers fear that could feed growing Islamist sentiment in the region. Ban also is taking on the region’s frequently poor human rights conditions. That is likely to be an especially tense issue when he meets Monday with Uzbek President Islam Karimov, who has led the country since the 1991 Soviet collapse and imposed severe pressure on opposition and civil rights activists. The meeting comes less than two weeks after the U.N. Human Rights Committee issued a report criticizing Uzbekistan, including calling for fuller investigation of the brutal suppression of a 2005 uprising in the city of Andijan. Opposition and rights groups claim that hundreds were killed, but authorities insist the reports are exaggerated and angrily reject any criticism. The availability of freshwater, its uneven concentration throughout the world, and the human needs for freshwater are the issues we need to address. 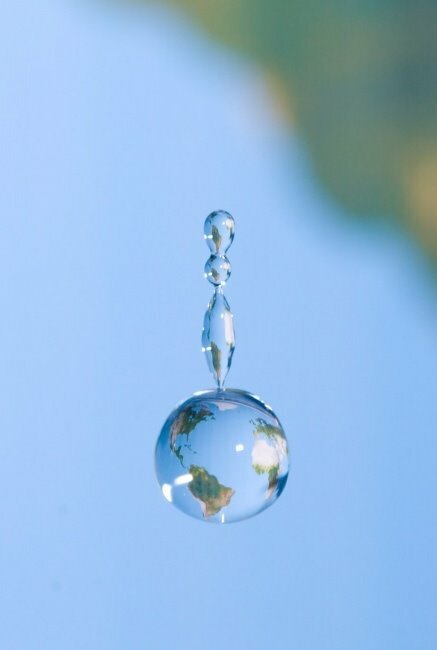 As a reader of Fresh[water] Ideas for a Thirsty Planet you are part of the global community that has an understanding and appreciation for the freshwater crisis we are entering. An exponentially growing global population is demanding water for food production, human hydration, sanitation, and industrial use. Our demand is challenging supply. Add to this equation climate change, hydrologic cycle changes, deglaciation of critical water reserves, and our penchant for “fouling our own nests”. By this I mean pollution of existing water supplies from human sewage, agricultural pesticide and fertilizer runoff, urban storm water runoff, and industrial waste discharge…. We cannot afford to ruin what we have in place because the supply is not growing but our demands/needs are. Here is an article from IRIN: humanitarian news and analysis, a project of the UN Office for the Coordination of Humanitarian Affairs. It also contains a hyperlink to the report “Sick Water”. Take the time to read it…as a loyal reader of Fresh[water] Ideas for a Thirsty Planet YOU are an ambassador and informed advocate for these issues. JOHANNESBURG, 22 March 2010 (IRIN) – Every 20 seconds a child dies from a water-related disease – 1.8 million children younger than five years each year. This alarming figure is from a new report by the UN Environment Programme (UNEP), which says millions of tonnes of solid waste are being flushed into water systems every day, spreading disease. “More than two billion tonnes of wastewater are being flushed into our fresh water and oceans every day, every year,” Christian Nelleman, the lead author of the report, Sick Water?, told IRIN. The wastewater, a cocktail of agricultural and industrial runoffs and sewage, was also seeping into groundwater and polluting drinking sources, like wells, in low-lying areas where the bulk of the world’s population live. Countries should not only invest in infrastructure to manage wastewater but also in ecosystems, for instance by replanting mangroves, which acted as natural filters in coastal areas, said Nelleman. “What is also very alarming is the amount of phosphate and nitrogen that is lost as agricultural refuse – projections show that we can run out of phosphate very soon,” he warned. Nearly half the agricultural phosphate applied each season got washed away and ended up in rivers and oceans, where it contributed to triggering algae blooms that could damage ecosystems and fish stocks, Nelleman said. Wastewater treatment plants should be sophisticated enough to harvest the phosphates. The report urged countries to draw up national and local strategies to cope with the wastewater production and invest in infrastructure to manage it. – Around 90 percent of diarrhoea cases, which kill some 2.2 million people every year, are caused by unsafe drinking water and poor hygiene. 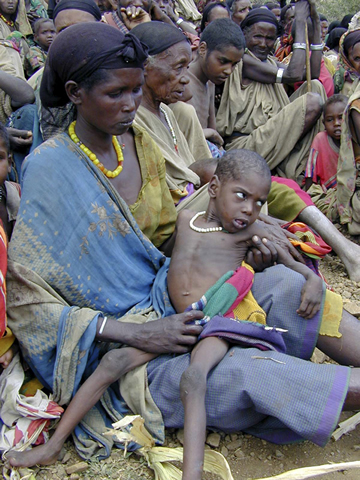 – Over 50 percent of malnutrition cases globally are associated with diarrhoea or intestinal worm infections. – Over half the world’s hospital beds are occupied by people suffering from illnesses linked to contaminated water. – Almost 900 million people lack access to safe drinking water, and an estimated 2.6 billion people lack access to basic sanitation. South Asia (around 221 million) and sub-Saharan Africa (330 million) have the highest proportion of people living without basic sanitation. – Ninety percent of the wastewater discharged daily in developing countries is untreated. Eighty percent of all marine pollution originates on land – most of it wastewater – damaging coral reefs and fishing grounds. – People in developed countries generate five times more wastewater per person than those in developing countries, but treat over 90 percent of their wastewater, compared to only a few percent in developing countries. – Agriculture accounts for 70 to 90 percent of all water consumed, mainly for irrigation, but large amounts return to rivers as run-off; nearly half of all organic matter in wastewater comes from agriculture. – Industrial wastes, pesticides from agriculture, and tailings from mining also create serious health risks and threats to water resources, costing billions of dollars to monitor, much more to clean. Use of bottled water is increasing, but it takes three litres of water to produce one litre of bottled water. In the USA alone an additional 17 million barrels of oil per year are used to make the plastic containers. Worldwide, 200 billion litres of bottled water are produced every year, creating an enormous problem of how to dispose of the used plastic bottles. – Wastewater generates methane, a greenhouse gas 21 times more powerful than carbon dioxide (CO2). It also generates nitrous oxide, which is 310 times more powerful than CO2. – It is estimated that in just a decade, wastewater-linked emissions of methane will rise by 25 percent and that of nitrous oxide by 50 percent. – Increased flooding as a result of climate change can overwhelm ageing sewage infrastructure in cities and towns. COMMENTARY: This problem is our problem. Ignoring it will allow human suffering to fester and erupt in anger, desperation, and frenzy to survive…when people are pushed to the brink civility erodes, humanity evaporates and we become that which we abhor. History has shown us this time after time. We act in our own rational self-interest when we alleviate the suffering of others and we become that which we aspire to be. To deny water is to deny life and to sicken water is to sicken life. This isn’t esoteric or academic it is reality…and it is happening now. We’ll look at some success stories in future posts-there is hope BUT only if we all work to make it happen. Raise the profile of water quality by encouraging governments, organizations, communities, and individuals around the world to actively engage in proactively addressing water quality e.g. in pollution prevention, clean up and restoration. Pass it around and help spread the word! 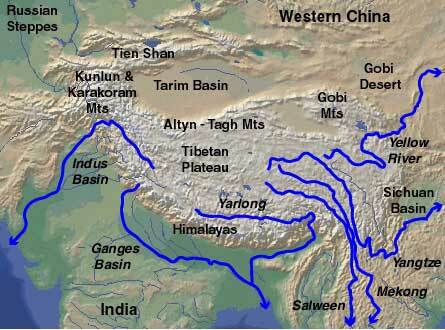 Water security in Asia…Unlike the other major reservoirs of freshwater on this planet – Greenland and Antarctica – Asia’s Tibetan plateau is a critical “water bank” to millions of people downhill from the vast plateau. China is the upstream water holder and countries like Pakistan, India, Bangladesh, Myanmar [Burma], Thailand, Laos, Cambodia, Vietnam are all at the mercy of the owner of the “Water Bank”. Water needs such as irrigation, hydropower, personal consumption by people, and ecosystem sustainability are all obvious and basic needs. Is water a right for all people as the UN has stated or is it a commodity to be traded, charged for, or controlled by a corporate entity or a government? Big questions and so far we have managed to avoid armed conflict…but the problem is getting bigger and more complex-not easier. 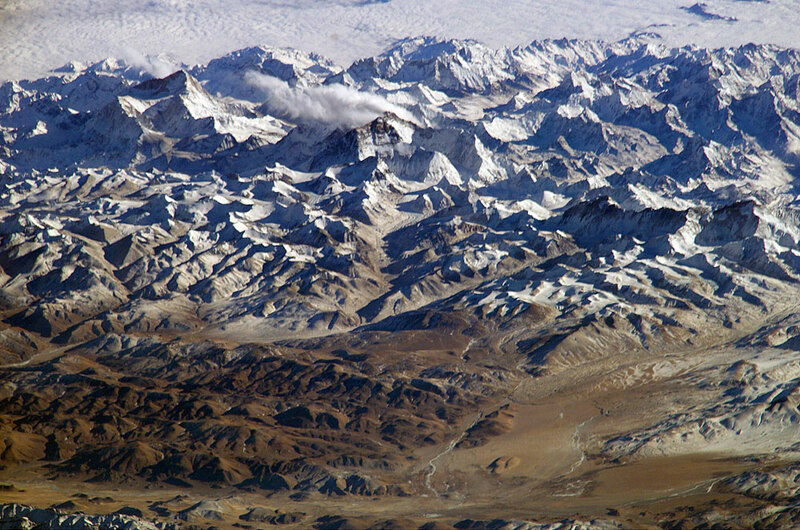 The Tibetan plateau glaciers are shrinking in mass—it is a water bank whose withdrawals exceed deposits. Academics, environmentalists, government policymakers, and large multinational corporations who see profit for their stockholders are increasingly aware of these issues. But it’s the general public that needs to come up to speed on these issues so that we the people, from whatever country you come from, can monitor and hold elected officials, governments, corporations and Non-Governmental Organizations [NGO’s] accountable. Knowledge is power and forethought prevents problems and conflicts. …Although Asia is home to more than half of the world’s population, it has less freshwater—3,920 cubic meters per person per year—than any continent other than Antarctica. Almost two-thirds of global popula­tion growth is occurring in Asia, where the population is expected to increase by nearly 500 million people within the next 10 years. Asia’s rural population will remain almost the same between now and 2025, but the urban population is likely to increase by a staggering 60%. …The term “security” is often used to connote conflict, but it has a much broader meaning for the purposes of this effort. The nexus between an essential resource such as water and security encompasses individual physical safety, livelihoods, health and human welfare, as well as a re­alization of the cooperative potential between nation-states and sub-national jurisdictions….The report also draws attention to some of the most significant current and future water-related challenges facing the region—from water disputes involving hostile states such as India and Pakistan to water conflicts in China’s villages and provinces resulting from agricultural and industrial pollution, and from the alarming rise in waterborne diseases, especially among children, in Indonesia attributable to inadequate wastewater facilities to the negative impact that climate change will have on Asia’s glaciers, which for many countries are the primary freshwater source. The scope and scale of these problems demonstrate in stark relief that no matter how we approach water resources—whether it is on the basis of quality and quantity, or as the most potent manifestation of extreme climatic events—hydropolitics is likely to be a growing force in Asian security that will require a broader understanding of and strengthened institutional capacities for water governance. …The U.S. National Intelligence Council’s Global Trends 2025 report has forecasted that “cooperation to manage changing water resources is likely to become more difficult within and between states” in Asia. The emerging picture under­scores an urgent need to re-frame the debate and to begin looking at these issues in a more comprehensive way that takes into account the complex national security and development challenges that countries and communities will face as water scarcity intensifies. Solutions are well within reach, but they will require high-level political will and a suf­ficient amount of investment. Governments need to develop coherent national responses and policies to simultaneously address multiple problems, with the aim of reducing security risks and vulnerabilities and providing economic benefits, such as investments in infrastructure for water conservation and management. Countries should forge a regional approach in which governments and other key stakeholders, including nongovernmental organizations, civil society groups, and businesses, work together to clarify responsibilities and coordination mechanisms to address water security concerns. Water as a security concern is beginning to gain attention worldwide. Researchers and in­ternational organizations are developing specific indicators to consider watersheds that could be vulnerable to ecological stress and resultant conflicts…9 out of 12 of the basins at risk were located within Asia.…The historical record demonstrates that water issues have generated more cooperation than conflict. According to Yoffee, Wolf, and Giordano, 28% of all recorded international water-related events between 1948 and 1999 were conflictive, while two-thirds were cooperative. Remote, exotic, a siren call for adventurers, romantics, dreamers and hardy souls, the Tibetan Plateau holds the key to Asia’s water security for up to 400 million people. China’s needs will drive the actions taken by governments in the area…we need to pay attention to this. Far off lands with seemingly unrelated events and actions have a way of dramatically affecting our lives around the world…they can be a Casus belli [latin: justification for act of war] such as the assassination of Archduke Franz Ferdinand of Austria which brought to a head regional conflicts and sparked World War I…Will the dragon take the water or will China clean up its own pollution and recognize the right of water for all people?